Different people save seed for different reasons. 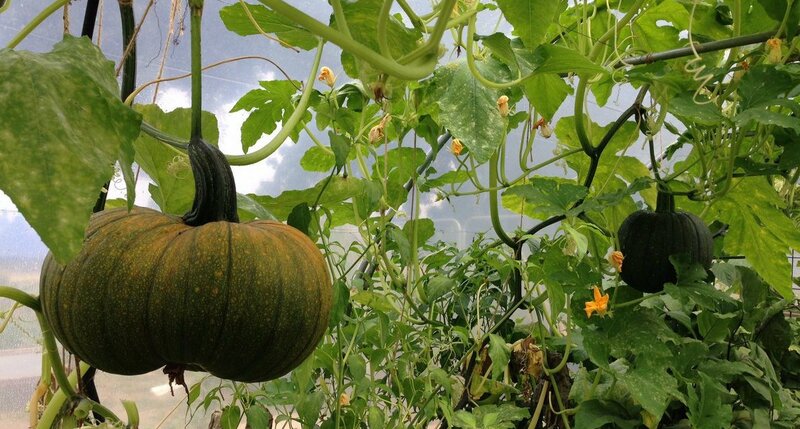 Some do it to assure themselves a supply of seed of a variety no longer available, special tasty varieties you want to grow more of or plants which are well adapted to your conditions. Some are making a deliberate stand against current trends in the seed industry, and the reduction in genetic variation. Some, like Garden Organic Seed Guardians, do it to create surplus seed that can be given to others. Some people are saving seed because they always have done so. Some do it to preserve a link with the past, growing a variety their parents grew or one particular to the place they live. 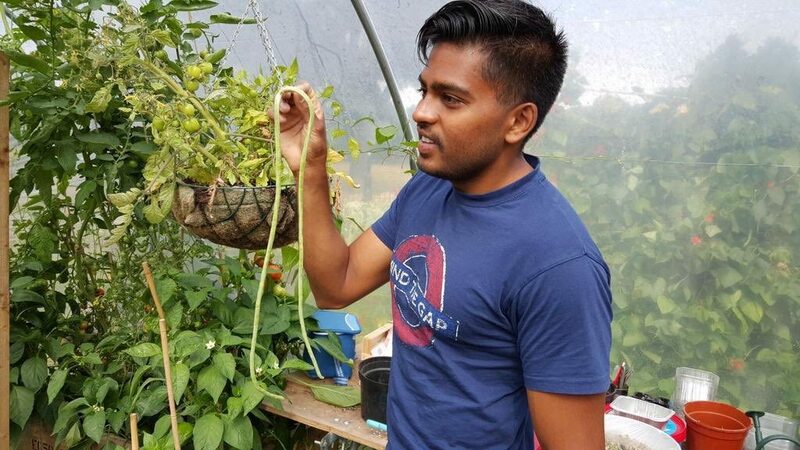 It was great to see Amrit’s Trinidadian long beans in the polytunnel this summer and I hope we have saved some for our 2017 crop. It just feels right if you are gardening to save seeds and save money and it is fun and interesting. We first needed to brush up on some basic botany, pollination and plant types. We soon got hands-on experience of the practical work of harvesting, cleaning, and storing seed. Eventually the programme is looking for community gardens to help build the London Freedom Seed Bank collection by saving seeds, but we can easily make a start now on saving our own now. 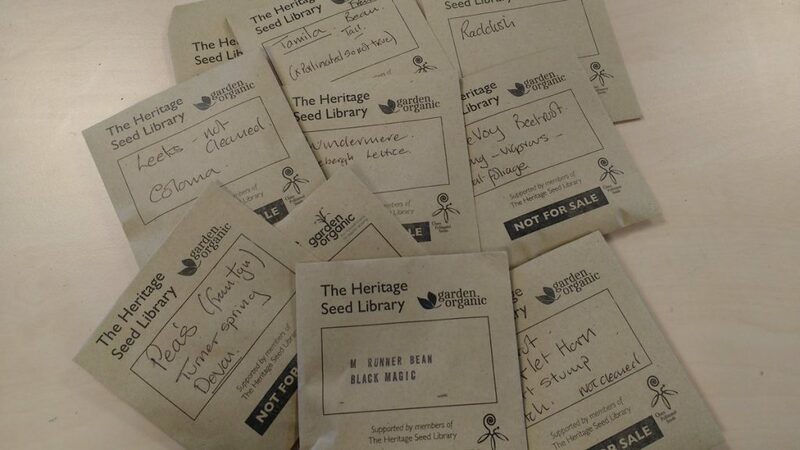 I brought some varieties of heritage seeds back for the Bandstand Beds community garden and next year we can have a go at growing Golden Jubilee Tomato, a large, yellow variety that’s sweet and delicious, and then save some seeds from those to grow on or share. I also picked up some interesting varieties of lettuce, radish, black runner beans and beetroot. 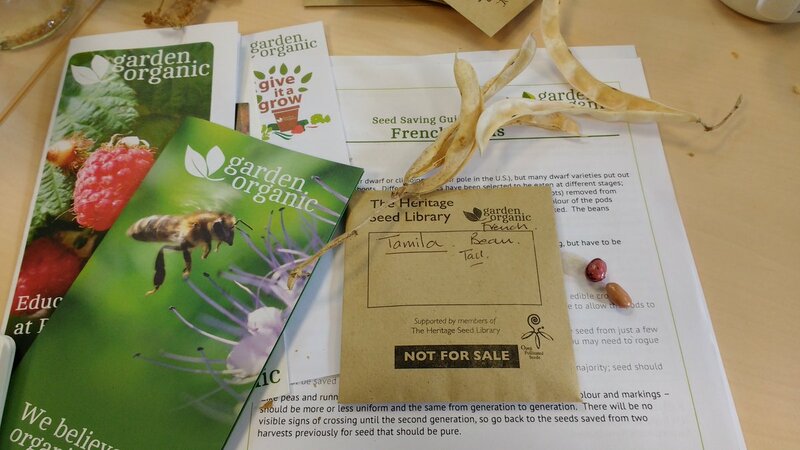 To find out more information about seed saving visit Garden Organic.